Clawson James Hardie Siding | Clawson James Hardie | Clawson James Hardy Siding | Clawson James Hardie Fiber Cement Siding | Clawson Fiber Cement SidingMcGlinch & Sons CO.
McGlinch & Sons has been serving customers all over the Greater Detroit Metropolitan Area and Southern Michigan area with James Hardie Siding products since we opened our doors in 1917. 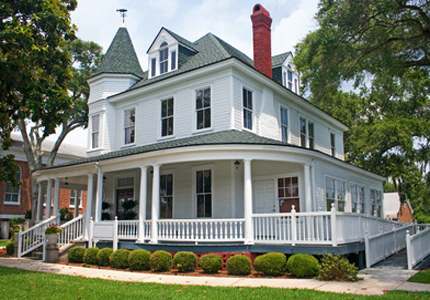 For nearly 100 years we have been able to successfully deliver the James Hardie Siding products to our customers. McGlinch & Sons is a trusted and successful family-owned business that is very proud to be able to offer our customers with four generations of skill and familiarity. McGlinch & Sons is well-known for the products and services that we deliver to all of our customers. The James Hardie brand brings an overall beauty to your home, as well as safety, also increasing the value of your home. James Hardie is known to be the Nation’s #1 Brand of Siding! James Hardie Fiber Cement Siding is known to be resistant to all types of weather conditions and is easy to maintain. The James Hardie products are sure to always keep the customers of Clawson using our services. When choosing the James Hardie siding there are many great benefits. A few of those reasons being that our James Hardy Siding products are nonflammable, won’t fade, and repels against all sorts of weather conditions, plus James Hardie products are five-times thicker than vinyl and woods products. If it’s siding that your looking to get for your home than indeed McGlinch & Sons James Hardie Siding is the right choice for your home. Our products will work so much better for your home than both vinyl and wood siding products combined. McGlinch & Sons James Hardie Siding products don’t cause moisture and won’t rot from the rain and other bad weather that can and will cause moisture. Living in Michigan we don’t have to worry about hurricanes, but we do have to worry about severe windstorms, hailstorms and tornadoes that we get from time to time. Our products will protect your home from all the weather that Michigan has to offer. So give McGlinch & Sons a ring at: (248) 987-6300 to get your home protected!